Horizontal coppery amber standards of velvet, somewhere between solid crimson-violet and aubergine tones. 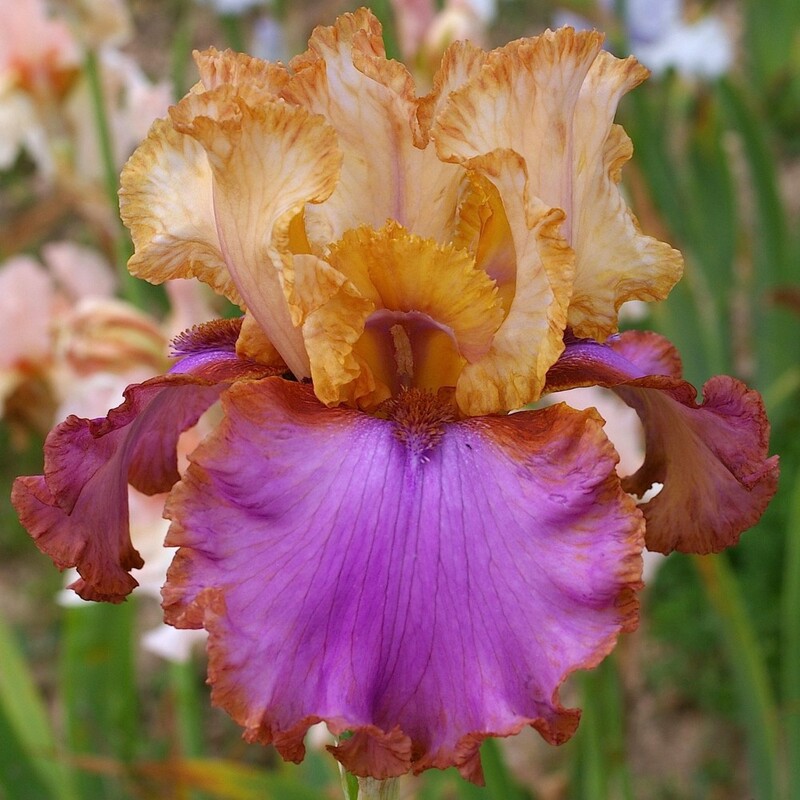 The flowers stand firmly, boasting their very ruffled edges and burned orange toned beards. 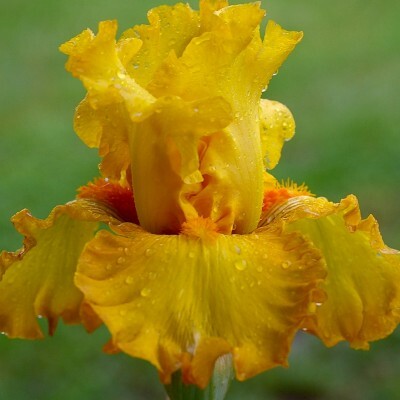 The truly brilliant offspring of 'Terre de Savane' with golden yellow standards and undulated equally golden yellow falls which turn to caramel along the edges. The beards are orange. Perfect stems with an average of 10 buds. 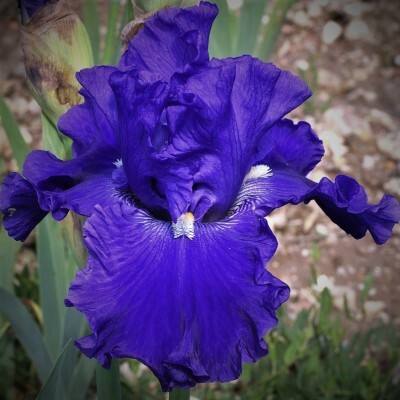 Though it is not one of the most original iris, it is certainly one of the most refined. 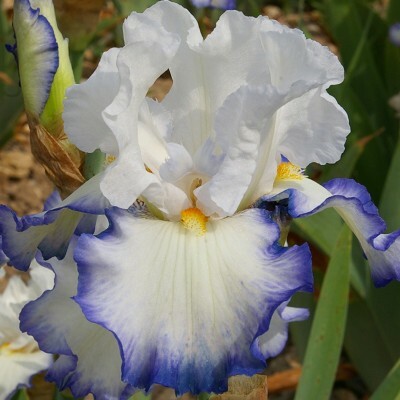 It has white standards and almost horizontal falls, white with a neat and thin deep blue edge. Orange beards, ending clear yellow. Gracefully ruffled.